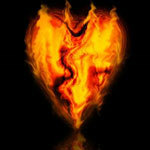 A little heartburn now and then isn’t a big deal for most people, especially those in their more mature years. You eat some spicy food or maybe indulge in a few too many cocktails, ward off the burning sensation with an antacid tablet or two, and move on. 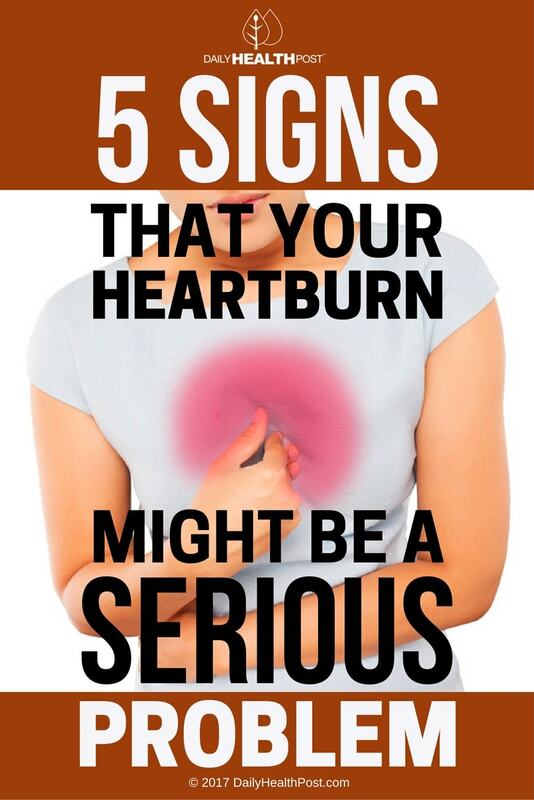 In fact, one in ten Americans has heartburn symptoms on a weekly basis, and normally it’s related to specific foods, medications, and stress. But sometimes, heartburn can be a harbinger of more serious problems, like gastroesophageal reflux disease (also known as GERD or acid reflux) or even heart attacks. And if you suffer from heartburn on a frequent basis, the stomach acid that causes it may result in the deterioration of your esophagus. If you’re experiencing any of the following five symptoms, it may be time to give your doctor a call about your heartburn. Heartburn that comes with chest pain, shortness of breath, weakness, irregular heart beat, and pain in the arm, shoulder, or face may not be heartburn. It may be a heart attack or other severe cardiac event. For these symptoms, call your local emergency services immediately. If antacid medications stop working to soothe your heartburn, or if they never worked in the first place, your heartburn may have progressed to GERD, or gastroesophageal reflux disease. With GERD, the stomach acid washing up into your esophagus that causes the burning sensation essentially goes out of control, and untreated GERD can lead to further problems like dyspepsia and esophagitis. Your heartburn may be a symptom of more serious gastrointestinal issues, or untreated acid reflux may lead to consequences that require immediate intervention. If you’re losing weight quickly without trying, have frequent nausea and/or diarrhea, are vomiting blood, or notice bloody stool, contact an emergency medical care provider. Gastrointestinal symptoms can signal a whole range of illnesses from cancer to food poisoning, so play it safe and see your doctor. Coughing can be caused by anything from a cold to asthma, so it can be difficult to determine whether or not it’s related to your heartburn. But, if you have a persistent cough that won’t go away in addition to heartburn, the two may be making each other worse. Because untreated heartburn can damage the lining of your esophagus, it can often lead to heartburn. Likewise, untreated coughing can damage your esophagus – leading to heartburn! For any symptom, it’s a good idea to get in touch with your doctor if it’s having a negative impact on your life. If your heartburn is persistent and isn’t helped by medications, is causing you to modify your lifestyle to deal with the pain, or is keeping you from sleeping, working, or relaxing, it’s time to figure out what’s really going on. Not only will it preserve your health in the long run, but you’ll feel better, too.